As detailed in "Our History" I have been involved with working dogs for many years. 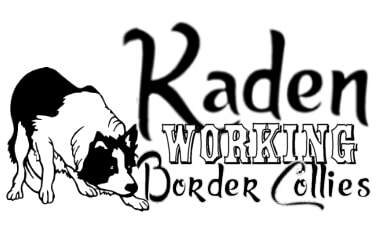 I started with just on kelpie and as the requirements for working dogs progressed over the years I now have 6 females and 4 male border collies. My training has developed to include a range of other interests. I am extremely passionate about dogs and have based my whole life around developing a better understanding of dogs and training methods. I now breed, train and teach all aspects of working and having these wonderful dogs. 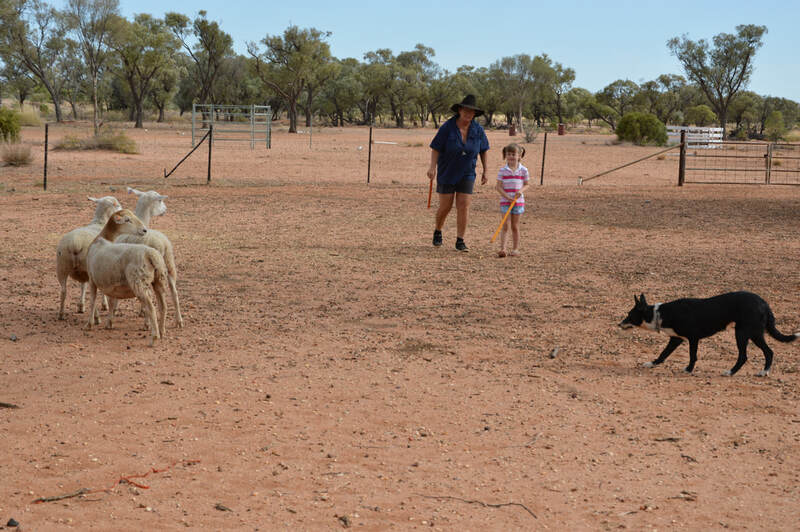 In 2010 I began competing in Sheep Dog Trials and although I attend only a few trials per year I was fortunate to win Queensland Novice Handler in 2015 and 2016. In 2016 I won my first Open and am now an Open handler. 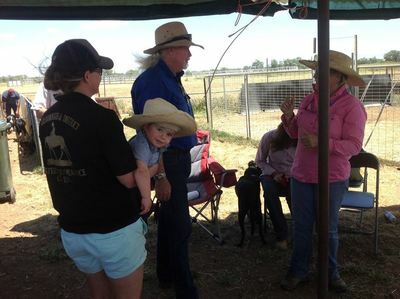 My dogs, especially Kaden's Dark Angel have placed me in many finals and although it is pleasing to trial it is the success in the paddock that gives me the most satisfaction. 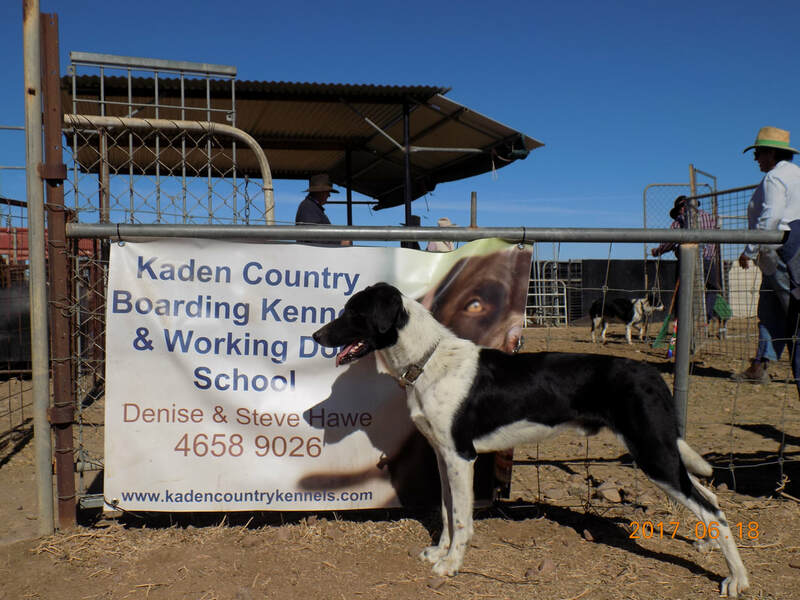 I have also completed the Greg Prince working dog school as well as spent many hours researching the dogs history and mind. All of which has given me a greater understanding of the working of the dog. This has lead me to change every aspect of my training. I have developed a method of training which brings the handler and dog together in a closer working partnership. In 2016 & 2017, I hosted "Kaden's Working Dog School's" at Longreach, with a great attendance on a weekly basis. 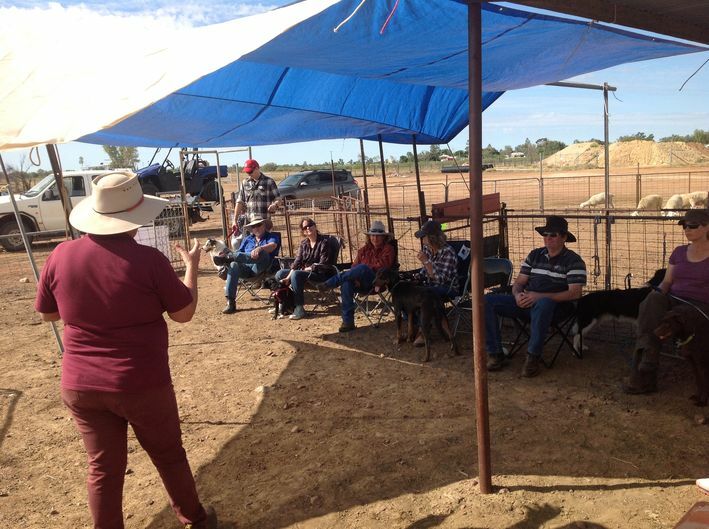 I assisted a large number of people begin or further their working dog training. It was very rewarding at the completion of the course, to see so many handlers able to control their dogs in a trial course situation. 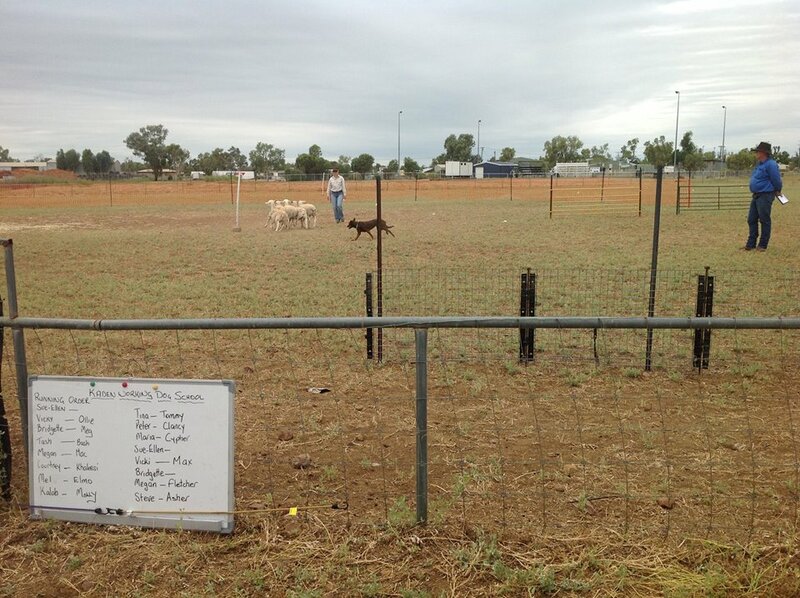 Many of the participating dogs, were town dogs and handlers who had never seen a sheep before. 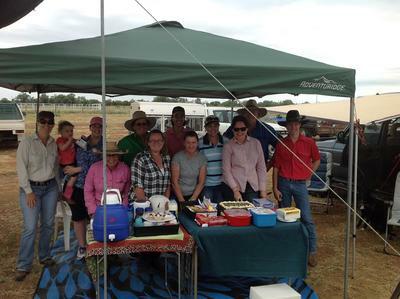 Some of the students excelled and went on to compete at the local show in a small short course for beginners. From the completion of the "Kaden's Working Dog School's" I hosted "Obedience & Agility Training" at Longreach. 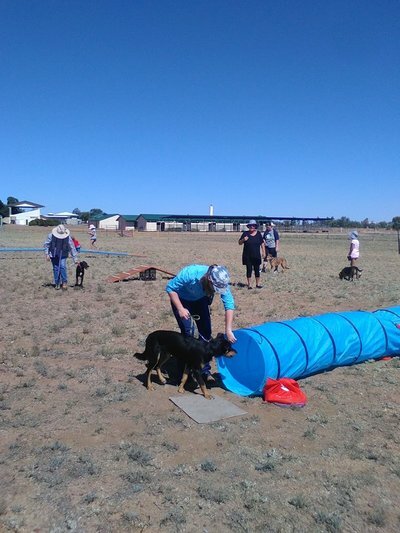 This was also well supported and was a great way to have fun with your dog while sharing in the learning experience. 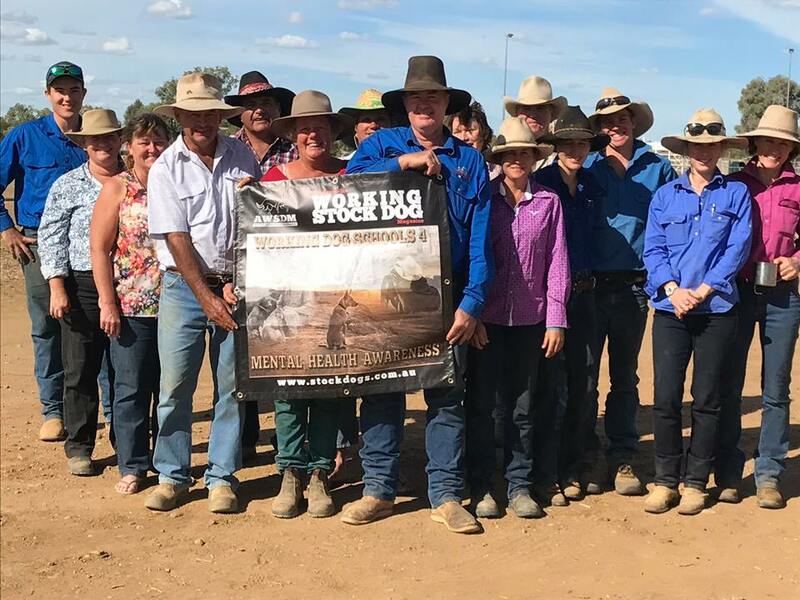 I was honoured to be an instructor in the "Mental Health Working Stock Dog School" held at Longreach. With all proceeds donated to the Black Dog Institute. It was very rewarding to see 20 dog enthusiasts from across the region attend and was a great success. I offer a range of services to assist you in handling and training your pet or working dog. From basic commands and manners to more advanced manoeuvres, games and working abilities. My training is based on a rewarding and encouraging system, with fun based learning for both the handler and the dog. I also take outside dogs for training. "Review My Video" with written response. Teaching obedience and Manners - from basic commands such as sit and come to more advanced. Common topics include - Getting pup's started, putting commands on your dog, casting and working as a team..
FOR TRAINING OPTIONS PLEASE OPEN THE SUB-PAGES OFF THE MENU BAR - "TRAINING & SCHOOLS"